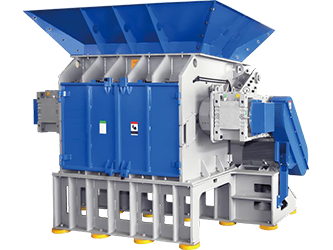 The L shredders have been designed for in house recycling of small lumps and purges from injection and blow molding processes. The typical input materials are small and medium sized cakes such as head waste. 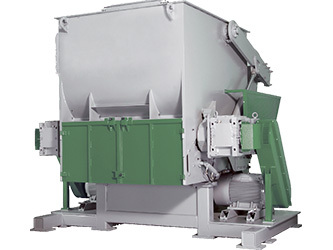 The material can be shred to reduce the volume or processed further in a granulator to be re-introduced into the production process immediately. 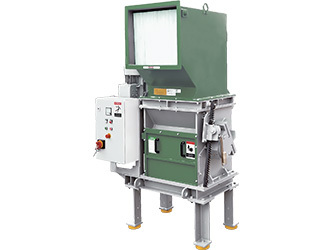 The W light-duty wood shredders are single shaft shredders specifically designed for the wood industry. 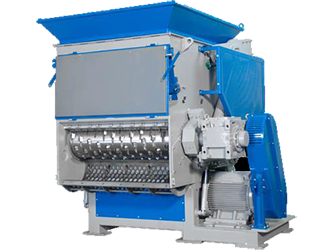 They can be used to grind small quantities of off-cuts in a joinery or to create sawdust from all kinds of waste wood to be used as fuel directly or further processed in a briquetting press to create heating pellets. The G shredders have been designed for a wide array of applications and industries such as in house and general recycling, electronic waste and post consumer waste handling with a wide variety of input materials. Depending on input material and the following process the shredded material can be used directly or go into the next step of size reduction for example in a H granulator. The V shredders have been designed with big volume parts such as IBCs, pallets and big barrels in mind. While it can be used for in house recycling in big volume blow molding operations it is also versatile enough to be used for general recycling in the plastic and wood industry. Like all Virtus Equipment shredders the V can be equipped with a wear package for processing of highly abrasive or filled materials. 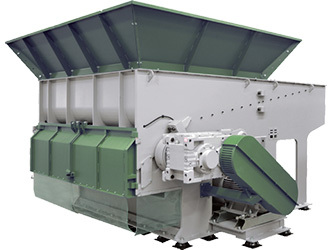 The X shredders have been designed for the most demanding and high throughput applications in recycling industries. The input materials can be all kinds of plastics, wood, paper, cardboard, e-waste, post consumer waste, rubber, etc. in various shapes and sizes. Typical input materials are: fridges, purges, tires, pallets, bales, drums and barrels, pipes, film and so on. 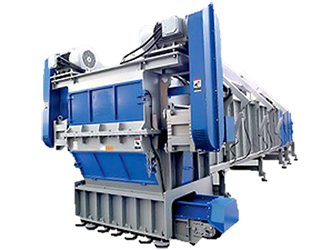 The X shredders with its single row of stator knives is used to pre shred complete car tires or large chunks of pre processed tires down to a size of about 150 mm. The twin rows of stator knives and screen in the T shredders enable it to take the tire shreds down to a any required size > 20 mm. The unique machine design combined with the variable cutting gap create an optimal separation of rubber and steel fractions.